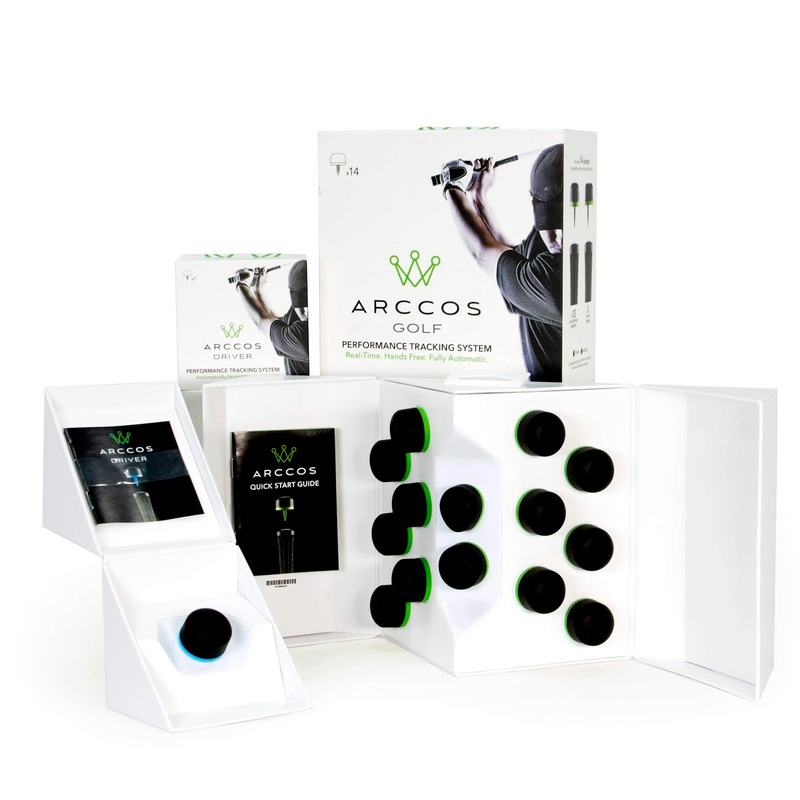 Arccos produce a remarkable sensor that attaches to the end of a golf club, helping the player to track shots and providing data to help improve play. Swerve were asked to create new structural packaging that would elevate the presentation, protection, and moment of unveil for the consumer. Our solution was a simple yet dramatic, molded part with a pattern of highly engineered retaining slots, married with a folded paperboard case, and an interchangeable printed sleeve. The result has taken sales to the next level, securing a spot in apple stores and the hot product in golf stores and shows. Packaging for the single driver and full set share a visual, functional and material DNA. Packages even share a cubic footprint so that cases can be cross-filled and the products are shelf-set friendly. Swerve worked closely with the Arccos design team, developing the packaging graphics, so that the whole process was completed fast and efficiently.